There are a lot of clay organisations, associations, groups, blogs, web and fb pages to mention but a few of the sources that I go to for inspiration, knowledge and good clay company. But a couple of years ago (I don’t remember how) but I found Mud colony initiated and administered by the amazing Adriana Christianson. Since then I have posted links to my blog from that page but most importantly I have found some amazing fellow Mud Colonists. Most I follow on the web through Mud Colony blog and FB and it never ceases to amaze me the diversity and the talent that exists in the clay world. And today I spent the most amazing morning with my Mud Colony Clay Sister Marian Haile Williams starting with a Mango whip at Sugar Beat in Murwillumbah and then off to the Tweed Regional Gallery Before we had a visual feast with the exhibition 40 Years Jam Factory. 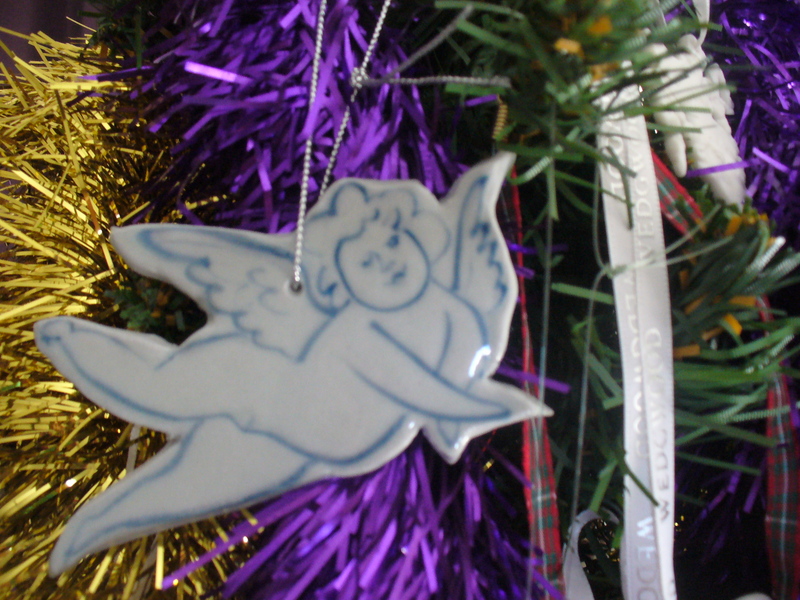 We caught up with Claire Atkins aka Pinky & Maurice Contemporary Ceramics where I managed to surf the Market crowds to purchase this new addition to my Christmas Ornament Collection. This is your last chance to see an amazing group of potters all linked to one Mud colony post – Don’t miss seeing what each and every potter is up to as we say goodbye to mud colony but not farewell to each other. While Mud Colony blog will have its last posting this week the fun, friendship and getting down and dirty with Mud Colony may end on the blog post but it will continue. Whether it be on the net, in person or in spirit – We remain an exciting fb group sharing our successes our learning experiences and the ups and downs of what it means to truly Play with Clay.